We love Groups - more scares, more laughter... more fun banter! If you can bring 10 or more people we'll do the right thing and offer you 30% off our normal ticket prices. Yes, we're all about group love! To book groups of 10 or more click here. 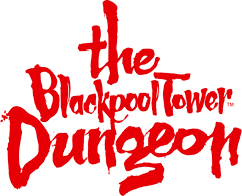 Or organise your friend's hen or stag party at The Blackpool Tower Dungeon! All you need is five others to save. PLUS you'll get in faster with Priority Admission! We have 3 stag or hen party options. Stag and Hen party tickets are available to buy for 6 people or more here!